On December 3, 2017, Professor Wang Xinyuan, the co-chair of DBAR-Heritage and Professor Faouzi Mahfoudh, the director of Institute of National Heritage (INP), Culture Ministry of Tunisia, signed a cooperation agreement in the embassy of the Republic of Tunisia in Beijing. They had in-depth discussions about the ancient marine Silk Road and possible cooperation in the future. Prof. Wang Xinyuan introduced the DBAR, an international science program, and put forward ideas and suggestions for the cooperative research around the North Africa and the Mediterranean regions. Prof. Faouzi Mahfoudh thought ancient Tunisia had frequent trades with ancient China and was an important part of the ancient marine Silk Road. He hoped to carry out scientific researches about heritage protection based on DBAR project. 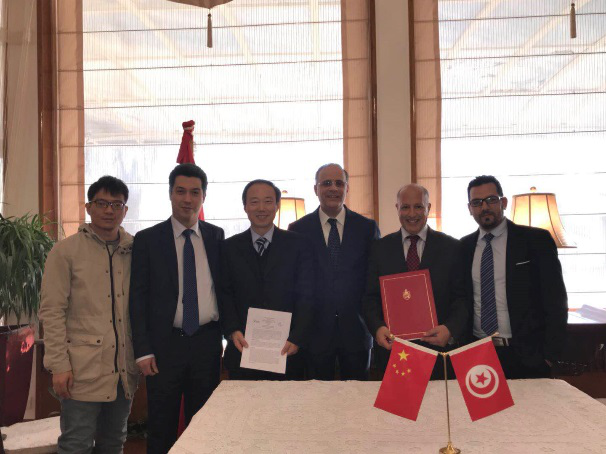 Mr. Dhiah Khaled, the ambassador of Tunisia, supported the cooperative research of experts from China and Tunisia, and he welcomed the DBAR research group to do field research work in Tunisia. 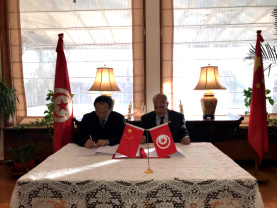 Based on this agreement, a joint heritage research group between China and Tunisia was founded, and planned to conduct filed research work about spatial archeology in Tunisia in the middle of December, 2017.